LONDON: 20 JULY 2015 - The directors of ECR Minerals plc (the “Directors”) are pleased to announce the results of bulk sampling at the Maestro Agüero prospect, one of several prospects which comprise the SLM gold project in La Rioja Province, Argentina. The SLM gold project is 100% held by ECR’s wholly owned Argentine subsidiary Ochre Mining SA. The bulk sampling programme consisted of nineteen channel samples taken across quartz vein and stockwork zones. Channels 5cm wide and 5cm deep were cut normal to the strike of the mineralisation using a petrol driven diamond saw. A total of 595.47kg of material within the channel cuts was collected using a hammer and chisel. Channel cuts were distributed over a strike length of approximately 400m. The bulk samples were submitted to the laboratory of Alex Stewart Argentina SA in Mendoza where they were crushed and then riffle split to give nineteen samples weighing 1.8-3.2kg for analysis. These samples were submitted for cyanide leach tests with AAS finish at OMAC Laboratories Ltd (“OMAC”) in Loughrea, Ireland. The residue was then dried and pulverised before being submitted to 50g fire assay with AAS finish. This procedure allowed the gold head grade to be calculated (cyanide leachable grade plus residual grade) for each sample whilst providing information on the amenability of the mineralisation to cyanide leaching. Head grades ranged from 3.78 g/t gold to 0.13 g/t gold over apparent widths of between 0.7m and 9.3m. Two samples assayed below detection. Cyanide leach recoveries of between 72.09% and 92.50% were achieved. Head grades, apparent widths and cyanide leach recoveries for all samples are reported in the table below. Petrographic study of selected samples indicates common flecks of high purity secondary gold on oxidised fractures. The dominance of secondary gold on fractures and the cyanide recoveries achieved indicate that mineralisation at Maestro Agüero is likely to be technically suitable for heap leaching, which would entail relatively low capital and operating costs. Gold grain sizes ranged from <50 microns to 0.5mm in diameter, with the majority of grain sizes above 75 microns, indicating that gravity recovery may also be a potential processing option, although gravity-focused metallurgical testwork would be required to confirm this. 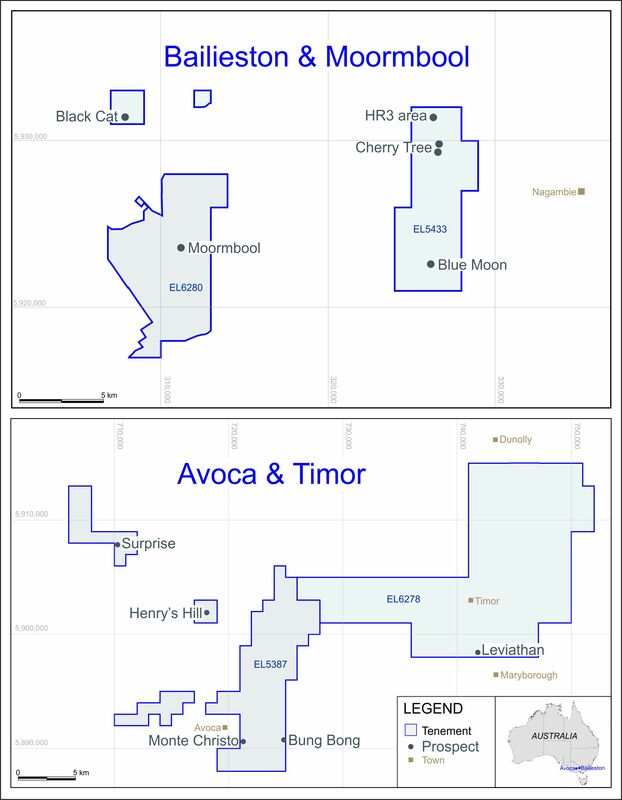 “The bulk sampling results reported today indicate that gold mineralisation at Maestro Agüero is present across potentially mineable surface widths, albeit at lower grades than had been hoped. However, the cyanide recoveries are generally high, and the deposit strikes along the centre of a low ridge, presenting a favourable topographic situation for open pit mining of near surface material. The Directors are now considering the Company’s strategic options for Maestro Agüero and the SLM project as a whole, and for the time being exploration at the project will pause. QA/QC measures including the use of blanks, duplicates and standards were applied by OMAC in relation to the analysis of the samples. The assay data reported is considered acceptable in the context of these measures. Assay values have been expressed in this announcement as g/t gold but were received from OMAC expressed as ppm gold. For the purposes hereof ppm gold and g/t can be considered equivalent. The contents of this announcement have been reviewed by Dr Chris Wilson PhD, FAusIMM (CP), FSEG, a geologist with the consultancy Exploration Alliance, which has been engaged by ECR in connection with the SLM project. ECR is a mineral exploration and development company with the right to earn a 50% interest in the Itogon epithermal gold project in the Philippines. Itogon is an advanced exploration project located in a prolific gold and copper mining district in the north of the Philippines.